DISCOVER HOW TO RAISE SELF-EDUCATED CHILDREN WITH THIS BUNDLE! $1033.00 worth of products for only $199! The Charlotte Mason Framework is a 5-module video course with step-by-step instructions for those who are ‘new‘ or ‘unsure‘ how to plan and implement this method that will build your confidence in this method while discovering how to raise self-educated children. The Charlotte Mason Way Course is a 14-lesson video course that lays out this method in a way that you can use it in today’s homeschool culture. The Charlotte Mason Planner (2018-2019) is a digital planner that is completely editable allowing you to plan all of your children’s lessons with one resource that has been created for Charlotte Mason homeschoolers. 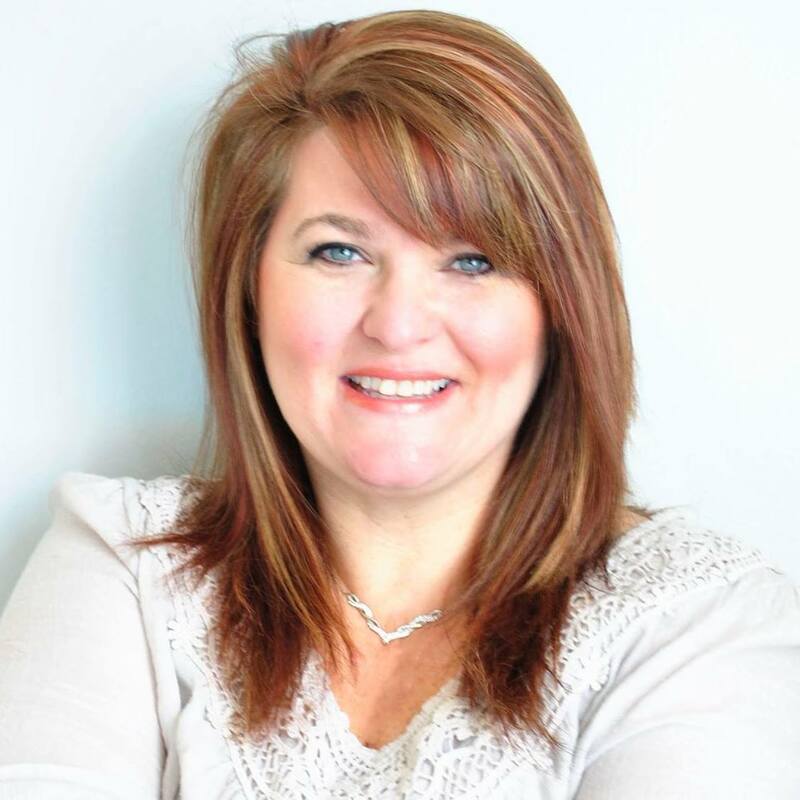 Veteran Charlotte Mason homeschool mom of four children who successfully taught with this method and her planning and implementing framework from preschool through high school. Are you ready to plan your Charlotte Mason homeschool but you’re just not sure how to go about it for your family? I remember when I was trying to learn the Charlotte Mason way and creating lesson plans for our children. It took me all summer to pull together the curriculum for the next year with several of these weeks being all about planning lessons. I was tired of spending my summers in full planning mode, so I decided to create a process that has resulted in me creating a planning and implementing framework that allows me to plan our high school children’s lessons in just 8 hours – for the whole year! I’ve now made this framework available in a course for homeschool moms to plan their Charlotte Mason lessons. Organize your children’s full homeschool year with the planning framework that I have developed that has resulted in our children to be self-educated from an early age. To be honest, with this framework in place, I often times feel guilty because it feels too easy to homeschool our children with this method. It wasn’t like that at the beginning when I was busy learning the method and implementing it with our family. But as more and more years passed by, when I began to develop my planning framework for homeschooling that kept people asking me how I get so much done while homeschooling. There have been times that I speak to overwhelmed homeschool moms who are near tears… because they don’t know how to juggle a very needy/clingy toddler, have a hard time making sure I am actually giving each child what they need, finding the undivided time to spend to teach each child, and they work hard on creating the best plans for a wonderful school day, and then someone interrupts. Years ago, I started sharing my secrets with one person, then another, then another. Pretty soon it seemed like the entire homeschool community I was active in was benefiting from them. I decided that I need to make these available to help more overwhelmed moms realize just how to implement the Charlotte Mason way that will literally change their homeschooling lives forever. 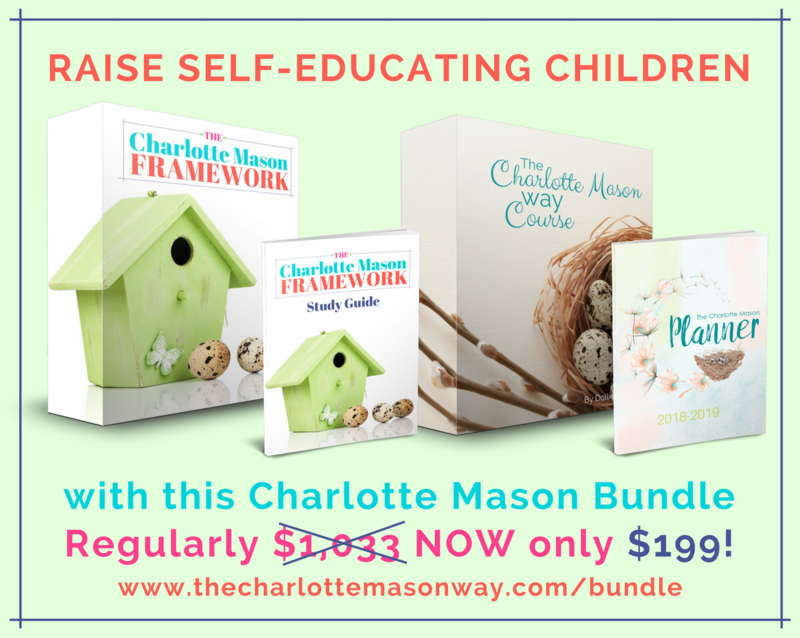 THE CHARLOTTE MASON BUNDLE is everything you need to gain confidence in using this method to raise self-educated children even if you have multiple children and are new or unsure of where to start. My framework secrets make the Charlotte Mason method a perfect fit for struggling learners, kids transitioning from traditional schooling, preschoolers, and yes, even high schoolers! The concerns of falling behind, catching up, doing too much, and doing enough for college entrances. My framework solves all of those concerns and more. In fact, I worked hard on developing this framework for over 15 years to eliminate my own planning struggles. It works so well, that I plan multiple children’s entire homeschool year in a weekend! I DECIDED TO ELIMINATE ALL THE RISK BY OFFERING YOU AN AMAZING 6-MONTH, 100% MONEY BACK GUARANTEE! If after a full 6 months you honestly don’t feel like its helped you have the perfectly planned Charlotte Mason days, just let us know and we’ll issue you a prompt and courteous refund. No questions asked. And just so there’s no confusion, I want to make this perfectly clear. 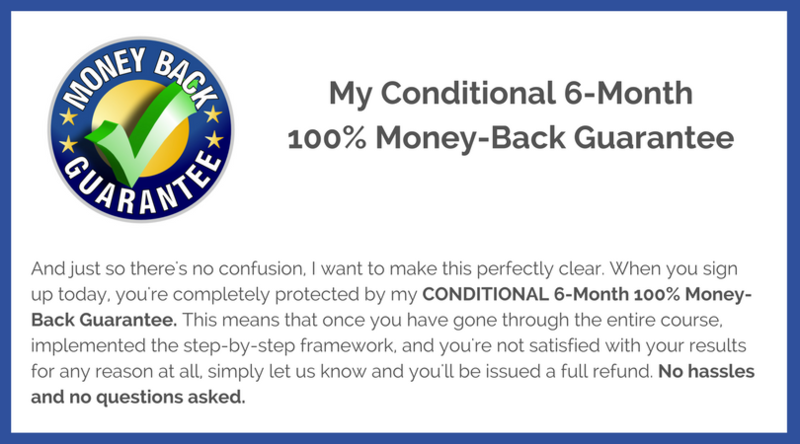 When you sign up today, you’re completely protected by my CONDITIONAL 6-Month 100% Money-Back Guarantee. This means that once you have gone through the entire course, implemented the step-by-step framework, and you’re not satisfied with your results for any reason at all, simply let us know and you’ll be issued a full refund. No hassles and no questions asked. You truly have nothing to lose and everything to gain by buying The Charlotte Mason Bundle right now by clicking on the button below.